This post was originally published last year as 10 Blogging Tips for Students and Teachers. 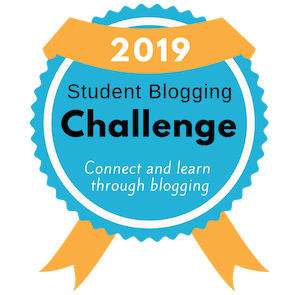 As I regularly help students and other teachers set up their blogs, I find myself giving lots of little tips that I have picked up on my own blogging journey. My list of tips keeps expanding and I thought it was timely to republish an updated version of this post. Many of these ideas have originally come from some of my blogging “mentors” such as Linda Yollis and Sue Waters. 1. Post frequency: Find a balance. Don’t post too often (ie. daily) otherwise you will not be able to generate much conversation through commenting and readers won’t be able to keep up. Post too infrequently (ie. monthly) and your readers might start to forget about you. I advise my students to post no more than once or twice a week, while three times a week works well for my class blog. Decide what works for you. 2. Reply to comments: I am often disappointed by student and adult bloggers who do not reply to their comments on their own blog. I feel that it is basic blogging etiquette to reply. Acknowledge your readers’ comments, interact with them and they will be encouraged to comment again. 3. Have an “About” page: The first thing I do when I visit a new blog is look at the About page. I am always disappointed when there isn’t one! Don’t keep your readers in the dark about who you are and what you’re blogging about. 4. Theme changes: Students love playing around with different themes when they first start blogging. I encourage them to explore for a week or so but then advice them to find a good theme and stick with it. Readers may be able to identify less with your blog if it looks different every time they visit it. 5. Fun widgets: Young bloggers love widgets! In my opinion, it is advisable to limit “fun” or “novelty” widgets. Too many widgets take away from the actual content of the blog posts and can slow down loading time! I suggest my students have no more than three “fun widgets” such as virtual pets, Christmas countdowns, jokes, tips, music clips etc. 6. Add a search box: Early on in the year, I teach my students how to use the search box on blogs to find content. I find it frustrating when blogs don’t have the search box. This simple tool allows readers to find what they’re looking for and means when your posts are no longer on the front page, they won’t be lost. 7. Subscribe via email: While I also use Google Reader and Twitter to keep track of blogs I like, I love having the ability to subscribe via email to my favourite blogs. Adding this feature could bring more regular visitors to your blog. 8. Add links to blog posts and comments: Links help your visitors gain a deeper understanding of what they’re reading. Links in blog posts can also be used to acknowledge or compliment others’ work. Links in blog comments can add extra information to a conversation. If you don’t know how to add a link to a blog comment, check out Linda Yollis’ excellent blog post and quick video. 9. Visit other blogs: You can’t expect many people to read and comment on your blog if you don’t read and comment on others’ blogs. You have to be part of the blogging community to get the most out of blogging. 10. End with a question: On my class blog and this blog I like to end with a question to stimulate and direct conversation in the comment section. My Grade Two bloggers are learning how to ask “broader” questions that will appeal to more readers (eg. if a child writes a post about a holiday to Noosa, instead of simply asking “have you ever been to Noosa?” they could ask readers to leave a comment and describe a holiday they have been on etc). 11. Don’t lose your comment: All my students now know how to select all (Control A) and copy (Control C) their comment before they hit “submit”. This allows them to paste (Control V) the comment if something goes wrong when they hit the “submit” button. This happens fairly frequently with young students due to the wrong spam word being entered etc. Read My grade two student Millie’s post about this tip here. 12. Left align your writing: I used to be guilty of centering all of my text until I realised this is not easy on the eye and not what professional writers do (always good to look to the professionals for guidance when in doubt). Style guides usually suggest that centered text is best for invitations, posters, headings etc. 13. Use paragraphs and sub-headings: As a writer, you need to do as much as you can to make your post easy to read. I am likely to stop reading something that doesn’t have any paragraph breaks. The more your writing is spaced out the better. Having key words or sub heading in bold/colour can also make your post easier on the eye. 14. Don’t copy and paste from MS Word: If you’ve been blogging for a while you may have experienced the dreaded consequence of copying and pasting text from Microsoft Word into a blog post. It is a big no no! Doing this can give you bad code which can ruin the layout of your blog. If you do want to copy and paste from Word you either need to paste the text into the HTML section of your editor or paste the text into Notepad (or the Mac equivalent) and then copy and paste that text into your post editor. If you want to read more about this, check out Sue Waters’ post here. 15. Stick with it: One of the biggest mistakes bloggers make is to give up too easily. Stick with it and reap the rewards! Are any of these tips new ideas for you? What other blogging tips can you think of? There must be lots more! I don’t think any of the tips are new ideas for me – although some are certainly a timely reminder! Especially about copying the comment before hitting ‘submit’ – I used to do that all the time, and have stopped recently, but it’s certainly a good habit to keep in mind. I’ll have to pass it on to a couple of my preps who have been experimenting with commenting on our class blog! I also think #2 would almost be my most important tip for any blogger (be they student, teacher or other!). I tend to include something visual in my posts – appeals to the visual learner and (usually) grabs the attention of most readers. It could be a widget/video/image/wordle/etc. I’m so glad you agree with #2. So many people overlook the importance of this! I agree about adding a visual. A post appeals to me more if it has a picture. I believe that your post added a visual element, the colorful headings for each tip. This goes along with your tip #13 but also provides the needed visual break. Thanks so much for this post! I’ve been wondering about the Microsoft Word solution. I stumbled upon that as problematic, and have seen you write about it, but didn’t know the solution if someone did start in Word and wanted to convert. So, thanks for teaching me something new. Now I know how to help someone else. Since I teach EFL adulte students who usually do not revise their posts before uploading, I have been advising my students to write what they wanted first in Word (to have spell checker and grammar checker handy). It has really cut down on my students’ errors and slips. I had not noticed my students’ blogposts with bad code and changed text. I will point them now in the Note Pad direction as I continue to motivate them to do revision, part of the writing they are not used to doing. Thanks for the heads up. Thumbs up! So happy I could help with that tip. I sometimes get my grade two students to type their blog comments in Word and copy/paste and that works fine but posts is a different matter. I’m glad I could help you find a solution! Great tips. It only takes the effort to start before you see the benefits of blogging. How else could we share so easily with people around the world? A great post with some great tips. I remember reading the original and this with your class your blog have continued to help me enormously when starting on my own blogging adventures. We are in our second year now and just starting to reach out to other blogs. It has taken us a while to branch out from beyond our own blog and try to make connections. I would suggest making sure all students spelling and typos are CORRECT before pressing submit and the old control copy tip. My students commented on the class blog you share with Kelly and before I could check spelling they had pressed submit. Lots of mistakes!! Thanks for your comment. Haha doesn’t matter about your students’ errors! Thanks so much for directing them to our blog. In order to self correct their work, we have the kids either type their comment in Word or in Firefox (auto spell check). You can copy/paste comments from Word, unlike posts. I must say, if anyone is looking for tips about blogging, you’re an amazing resources. I learned so much about blogging through visiting your blog among others. One of the things I didn’t do with my students last year was have them copy their comment before they submit. We lost just a few comments due to this! I’ll definitely be teaching my students this early next year. Thanks for always sharing your amazing ideas! Thanks so much for your support as always. Yes, that copying trick is definitely worth it. I have made the mistake myself many times of not copying and losing my comment. I’m surprised at how quickly the kids get the hang of it. Use video and audio to help little ones and kids with difficulty writing get their ideas out there. Positive responses in comments will motivate them to keep sharing even in print form. 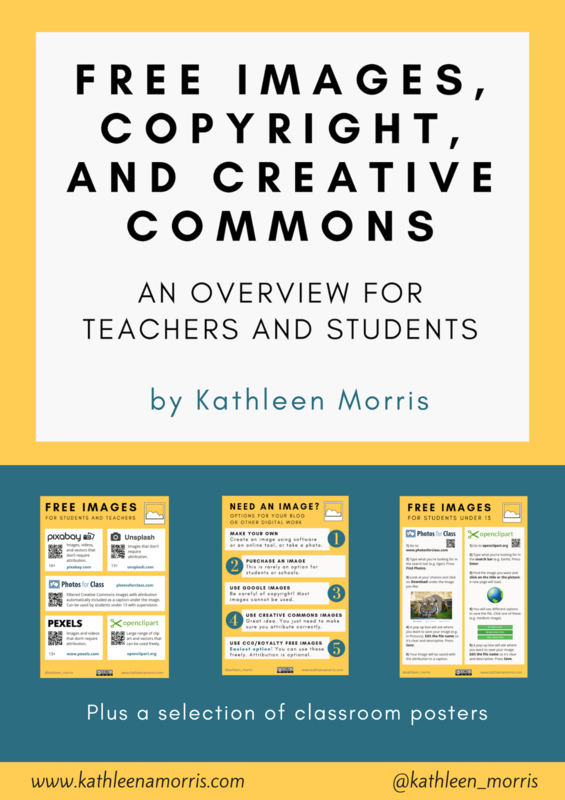 Share student generated posts with the twitter using the hash tag #comments4kids. Also spend 5 – 10 minutes a day responding to posts from other classrooms that were posted using the hashtag. Consider how much anti-spam protection you really need and if the use of certain anti-spam protection is excluding people with ideas you should hear. There have been times I’ve given up trying to comment because of the huge number of hoops the blogger expected me to jump through for the privilege of commenting. Capta for example is extremely frustrating for those of us who are dyslexic and those who are visually impaired. @ Kimberly – yes! They are fabulous tips. Thanks so much for sharing. I just love #comments4kids – a fabulous initiative! We should look at it as a class – thanks for the idea. With Global2 I am not sure how much you can change the anti-spam stuff but I did recently take of the compulsory email from this blog to save people jumping through hoops. I agree, the easier the better. I just wanted to thank you so much for not just this post, but the professional resources you have created in your primarytech blog. The professional sharing that happens on this site is outstanding. The questioning you use on your class blog has become a prominent feature of my own classroom blogging and it has really helped guide the way students comment and respond to posts. I’ve been blogging for just over a year and still very much consider myself a novice. There is so much potential for how classroom blogging can become part of your daily curriculum and be used as a learning tool. Having your practices to guide my way has helped me to continually improve my own approach to classroom blogging. Again, thank you for sharing your experiences with us. I’m glad you are enjoying using questioning. That was another idea I got from Linda Yollis! I love your positive attitude towards blogging and I wish all teachers had that attitude! Those are not new tips to me, but it is good to see some one lay them out for reviewing. These are good practices for developing a readership. These tips will help do what is the hardest thing about having a blog or website, and that is getting readers. Anyone can start a blog, but far fewer can build and sustain an audience. Tip number 1 and 2 will go a long way in that regard. You’re right about developing a readership. It does take a leap of faith to start a blog and hope that you’ll have some readers but it requires persistence and some active strategies. Thanks so much for all your tips. I have just started blogging this summer, and will introduce my class to blogging in two short weeks. For me, ALL of your tips are new and helpful. I am planning to start with just our class blog until Christmas vacation. I hope that in January I will feel comfortable enough to get the kids started on their own blogs. I have a feeling, however, that once they see how the blog works, they will want their own much sooner than that. Thanks for your many, many tips all over your blog and in your newsletter. I know I will stumble along a number of times in the upcoming months as I learn, so I will keep #15 “Stick with it” most in mind. That is good advice for all of life! Thanks for taking the time to comment. You are going to love blogging with your students. I think it’s a good goal to start with your class blog and go from there. Sometimes it is hard to stick with it but I know you will!